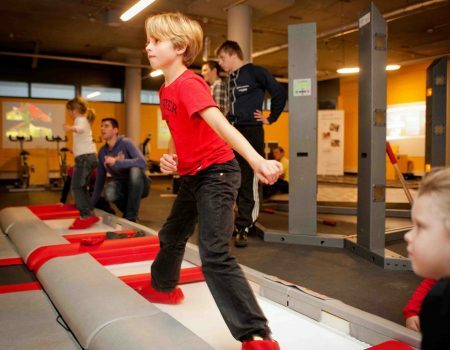 SmartSkate - Embedded Fitness makes exercise fun! Ice skating is a popular sports. 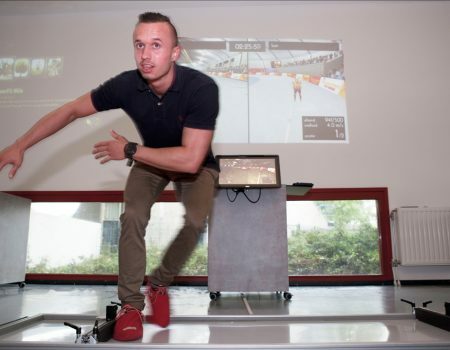 Besides training on ice, people often train on a wooden skating board. 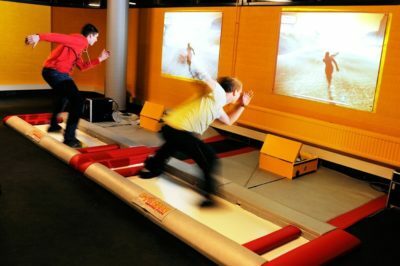 On this board you can practice sliding with your socks. Professional ice skaters often use this technique when practising. 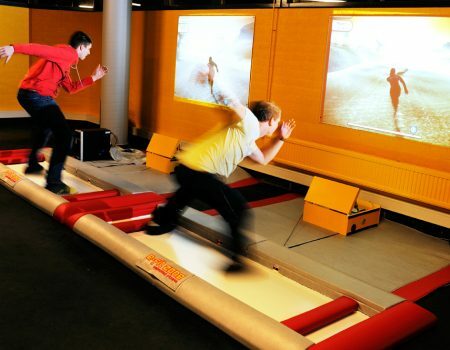 Embedded Fitness linked one of these boards to a game, where through sensor techniques the skating is transformed into movement in the game. This way people can skate a course. This can either be a nice virtual tour on natural ice or a competition game in a skating ring. 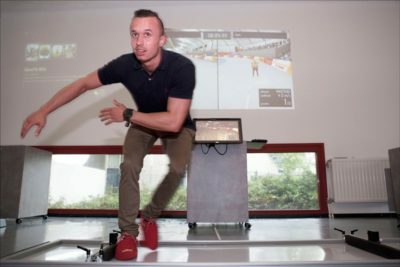 The E-fit Ice skating simulator has been at different big events like the Olympic Games in Vancouver, as well as at the Dutch National championship and the World championship ice skating in Heerenveen. 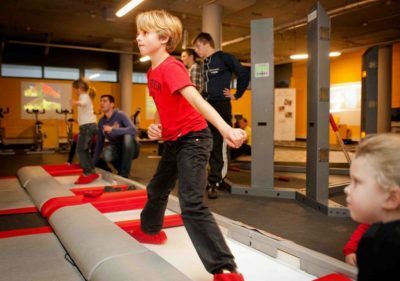 More than 15 thousand people from all ages tried to set a high score. This provides a lot of pleasure and stimulants to get down the course as fast as possible. With socks over your shoes, you can easily slide over the board and you are skating a course on beautiful ice through nature. You try to set a high score, beat your own or perhaps someone else’s high score. It is suitable to connect with RFID for check ins and outs.